Add ingredients to an ice-filled shaker. Shake and strain over ice into a margarita glass. 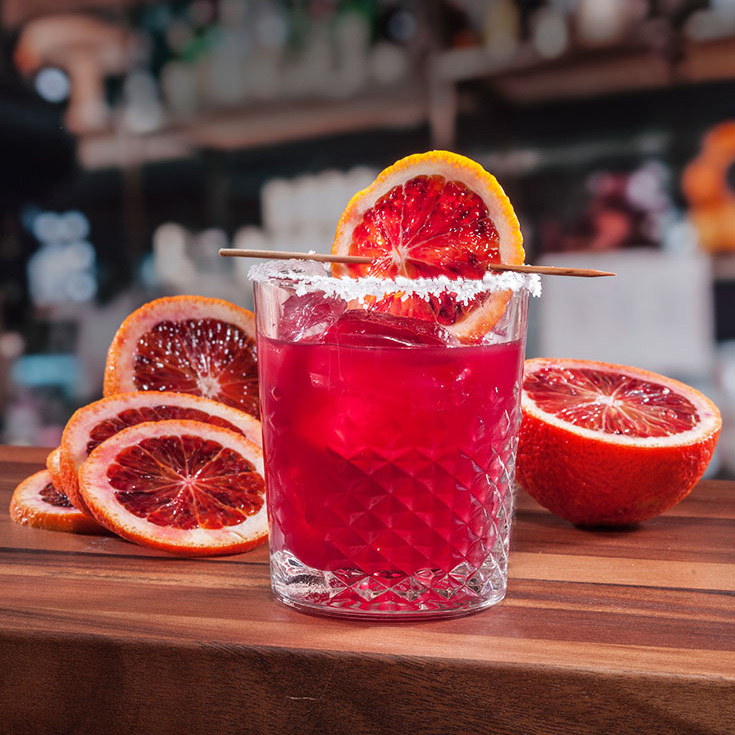 Garnish with blood orange wedge on rim and serve.